"What great blessings there are for the people that are sad now! God will comfort them." Paul told Christians in Rome, "Weep with those who weep" (Rom. 12:15). Disciples face sadness for many reasons. Discipleship is not about always being happy. It's about following the path of Jesus who was "a man of sorrows and acquainted with grief" (Isa. 53:3). He surrendered his rights to bless others. He surrendered his life to forgive the very ones crucifying him. He saw through the facades of his culture and felt the real needs of people whether they were ill, possessed, or simply blind to the truth. To be a Christian—a disciple of Jesus—means to care about people, their problems, and to "weep with those who weep." But such mourning means comfort. Our sufferings, hardships, and struggles will melt away in the eternal light of God's presence and grace. Our heartbreak for those broken in our world will be replaced with rejoicing when many we have loved join us at God's side eternally. 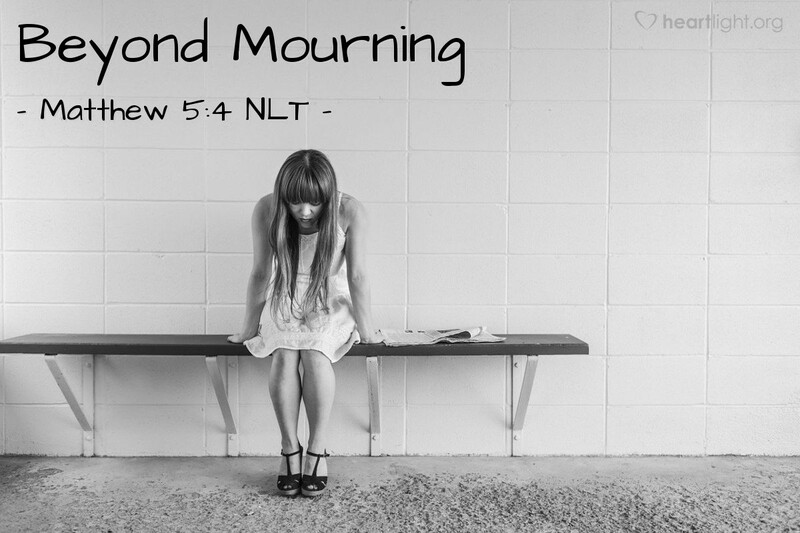 Those who mourn, who are deeply sad, they will be comforted! O God of all comfort, thank you for never abandoning me in the dark hours of grief and pain. Thank you for listening to my complaints and heartbreak when times are tough. Thank you for loving and not turning away. I believe, dear Father, that all comfort comes from and is found in you! So I ask that you help me see others in pain, that I might share in bringing them your comfort. In Jesus' name. Amen.